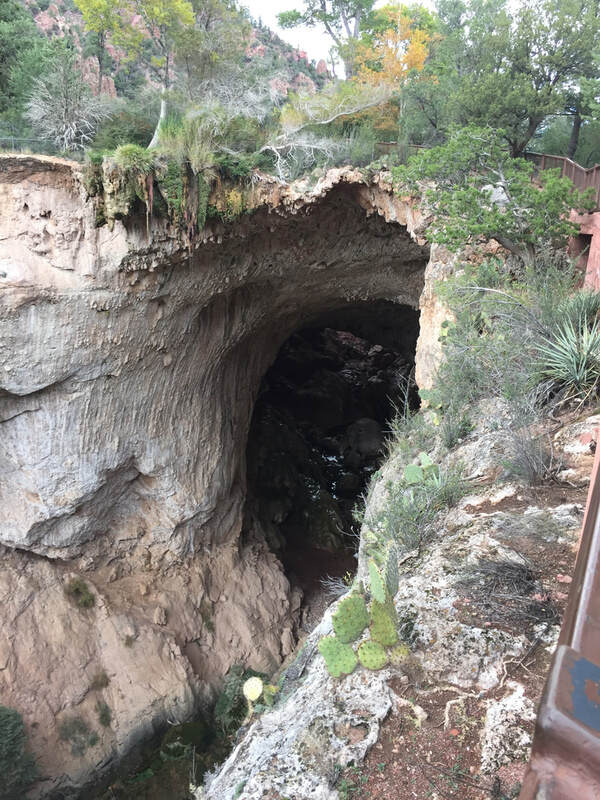 ​The tunnel measures 150 feet wide by 183 feet high. 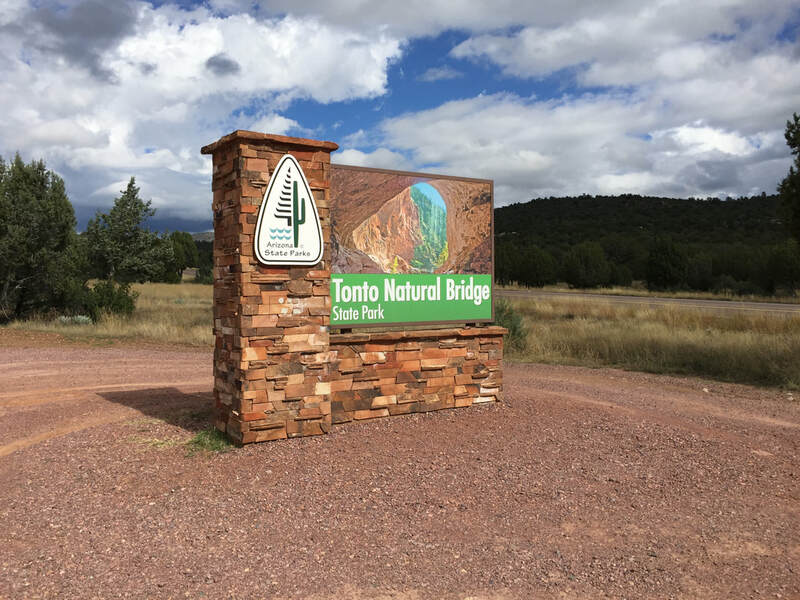 Less than 100 miles southeast of Sedona, near Payson, is ​Tonto Natural Bridge State Park, "a natural arch believed to be the largest natural travertine bridge in the world." 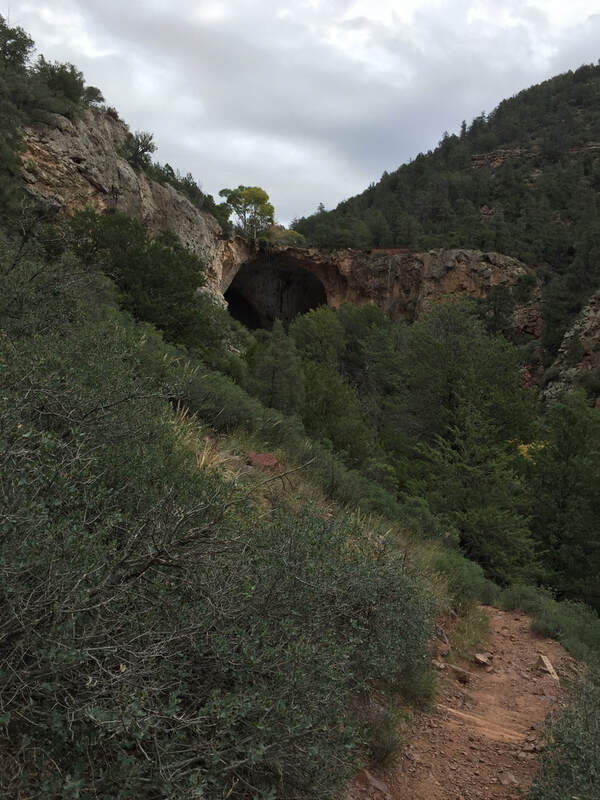 Gowan Trail is named for David Gowan, a Scotsman, who found this place in 1877 while hiding from hostile Apaches. 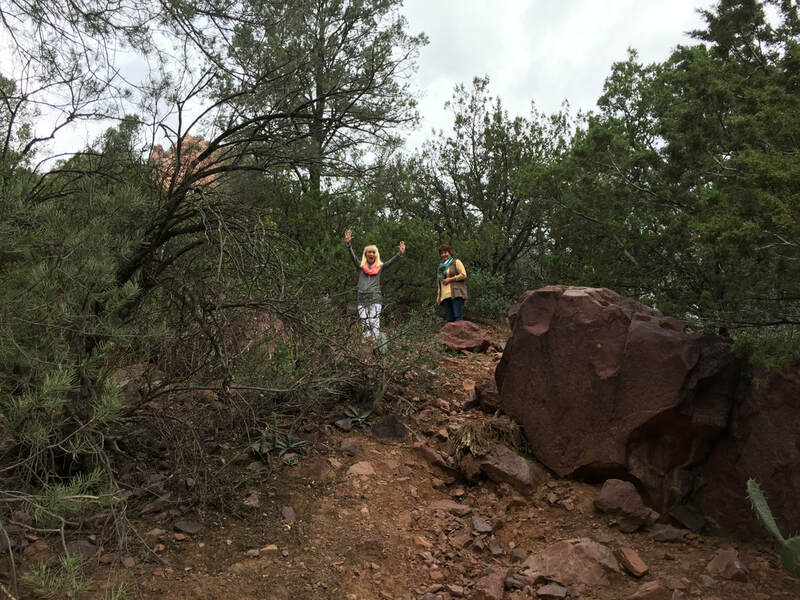 Pam gives a shoutout as she and Leslie head down the trail. There it is -- the bridge is in sight! Pam is ready to tackle the trail, with Leslie and Richard in the lead. ​ can catch our breath! 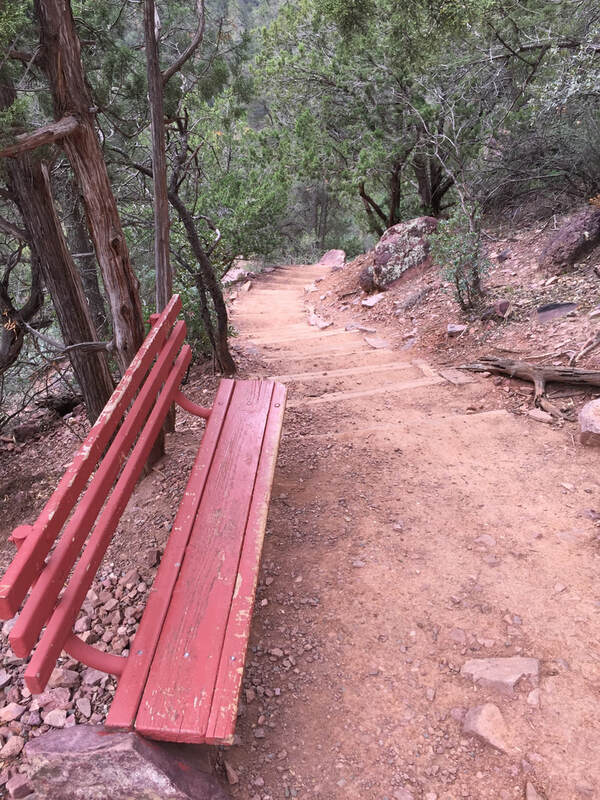 ​At the bottom of the trail, there are stairs that take you to the base of the bridge. 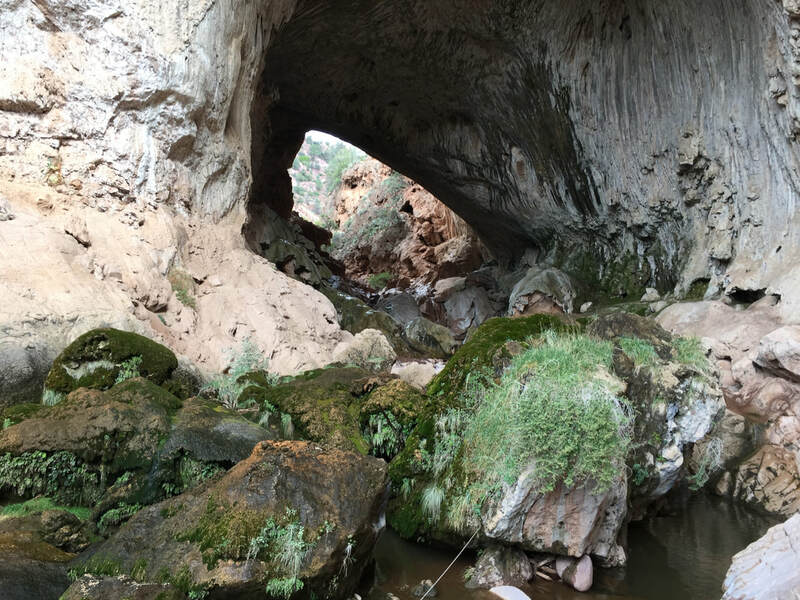 You can walk under the bridge, but be careful -- those rocks are slippery! 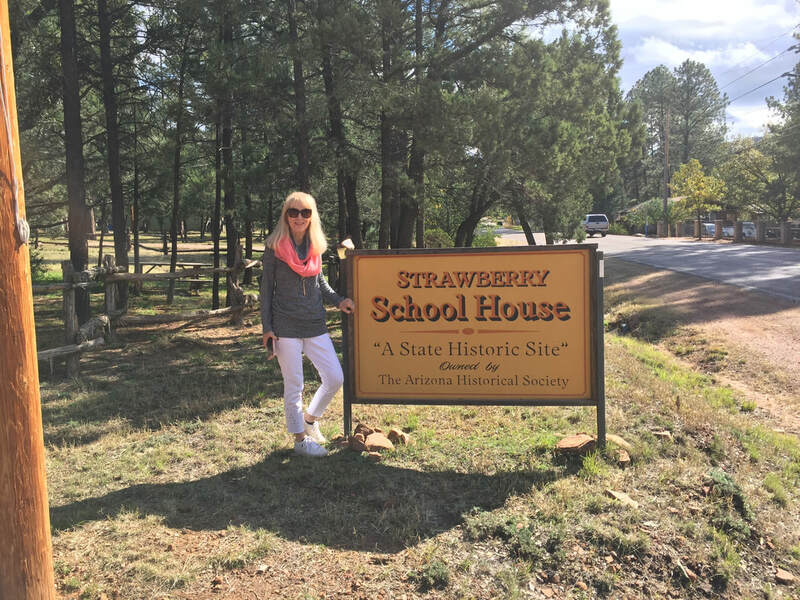 Not far from the natural bridge is the quaint town of Strawberry, which boasts Arizona's oldest schoolhouse, built in 1885. Pam and Leslie took a peek inside.